I’m gonna let the cat out of the bag and tell you Whole Foods now has fresh feline. 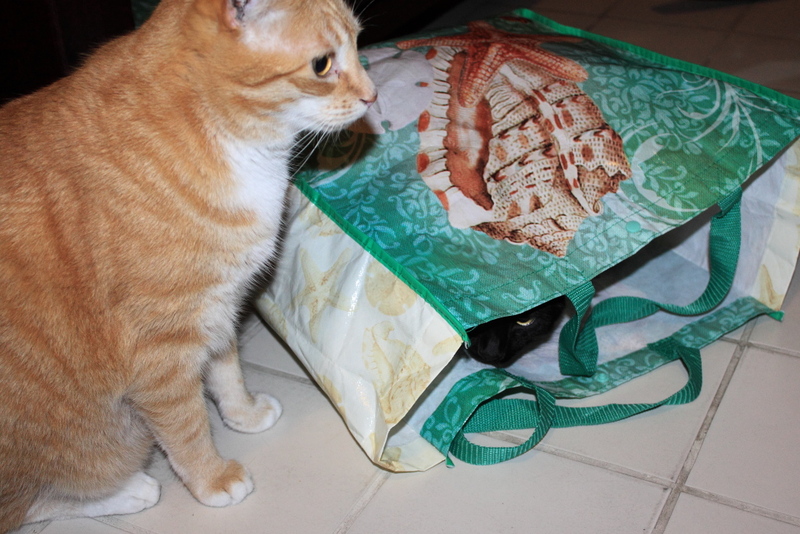 This entry was posted in Uncategorized and tagged bag, cat, cute, funny, Whole Foods on March 8, 2019 by Charles Huss. 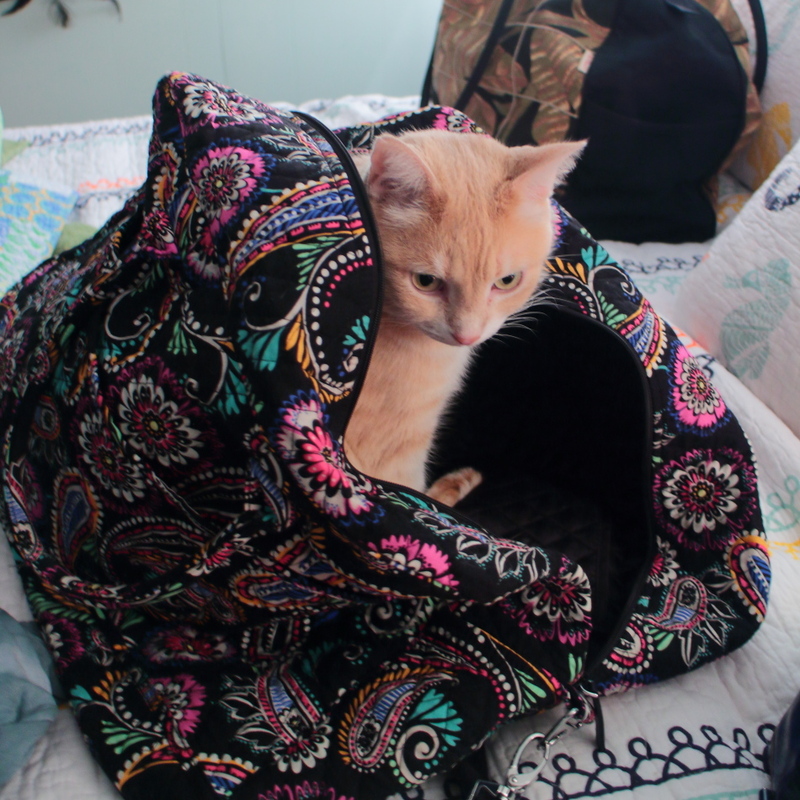 As we were packing for our trip to St. Augustine last week, Frankie decided he wanted to go with. This entry was posted in Uncategorized and tagged bag, cat, cute, luggage on January 26, 2018 by Charles Huss. This is Frankie in Rose’s travel bag. I think he wanted to go with her to San Diego but I’m not sure how airlines feel about stowaway cats. This entry was posted in Uncategorized and tagged bag, cat, cute on April 22, 2016 by Charles Huss. Ok Puck! That’s long enough. It’s my turn. Is that a box you have over there? Wait for me. I’m stuck! Puck, my good buddy, my best friend. I need your help. 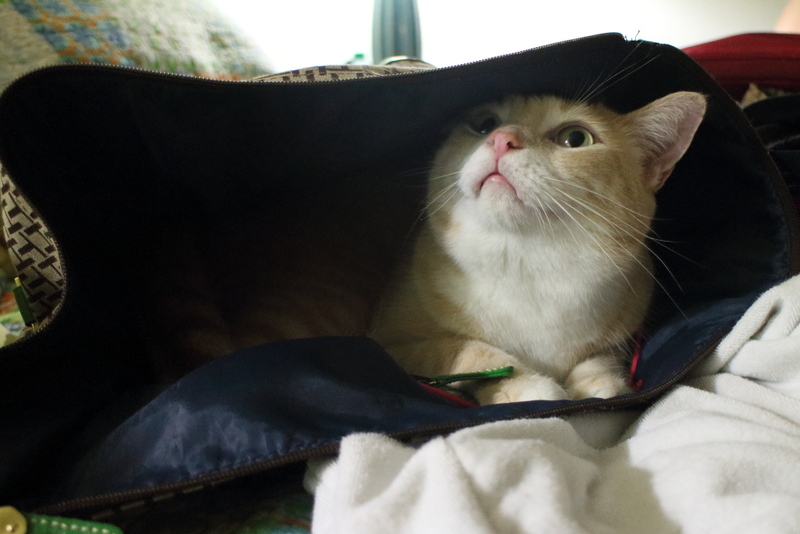 This entry was posted in Uncategorized and tagged bag, Cats, cute, funny on February 27, 2015 by Charles Huss.